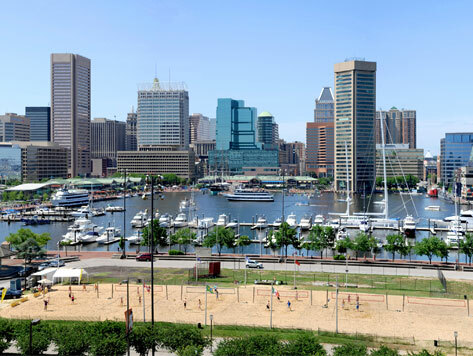 Just south of the main downtown and only a short walk from the Inner Harbor, Federal Hill Park offers the best views of Baltimore. The historic park features monuments commemorating the Battle of Baltimore and War of 1812, and cannons that once manned at Fort Federal Hill during the Civil War. Other amenities available include a basketball court, Rash Field with a variety of events and activities, including beach volleyball, a serene promenade overlooking the downtown cityscape, and a gated kids playground area. Within walking distance from the park are many popular Baltimore attractions including the American Visionary Art Museum and Maryland Science Center.